In the Pro Tour: Oath of the Gatewatch quarterfinals, the Eldrazi-toting Luis Scott-Vargas mulliganed to four against Pascal Maynard’s Affinity. The match announcers were baffled when Luis shuffled away an admittedly unexciting five of Ghost Quarter, Blinkmoth Nexus, Wastes, Matter Reshaper, and Endless One, but after some thought, realized Luis had correctly identified that hand as too slow. The ability to take good mulligans separates great Magic players from average ones. Mulliganing is tremendously complex, and as a result, very difficult to master. This article explores some of the different types of mulligans, the reasons players mulligan, and how the age-old mechanic applies to Modern specifically. As a Miracle Grow-deck enthusiast and Magic player generally, I’m very interested in resource management. Land drops, cards in hand, and life points are all resources players tap into during games. Mulligans are another, though often overlooked. At the start of each game, players have the ability to turn one of the cards in their hands into a zero-mana Tolarian Winds. Having this ability is incredibly powerful and should never be taken for granted. The point of a mulligan is to start the game with a hand that has a better chance of winning than the current one. Simple enough, but things get tricky when it comes to the “better chance”—it’s impossible to know if one hand is objectively more likely to win than another. Still, skilled players take more successful mulligans than unskilled ones, so expertise is a factor at work. I think the most efficient way to improve at taking mulligans is to practice, and to pay close attention to openers and how games play out with different hands. My advice for anyone afraid of taking mulligans: when in doubt, send it back! At worst, you lose; at best, you improve. Mulliganing is especially important in Modern, a turn-four format with plenty of linear decks that attack from various angles. Many strategies lean heavily on their ability to mulligan when it comes to beating them. I’ve organized the types of mulligans into three categories, based on how obvious it is that a hand should be shipped. Obvious mulligans are the least complicated of the bunch. These mulligans take very little time to resolve—you look at your hand, quickly determine it unplayable, and ship it away. Since obvious mulligans are so intuitive, I won’t spend much time here, but I do want to outline the different types. Sometimes, hands that at a glance look like obvious mulligans have more going on than meets the eye. Outside of that’s-not-Magic decks like Dredge, it’s almost never correct to keep a no-lander. These hands fall into the basic trap of “if I only drew ___.” In Modern, even a hand full of one-drops is unlikely to win a game if it never makes a second land drop, meaning no-landers require players to draw two lands to reap any rewards. Hands with six or seven lands are also unkeepable. Off the top of my head, I can’t think of a matchup where a player would want to make six consecutive land drops badly enough to risk not casting any spells for six turns. This format has plenty of decks that punish slow starts. Even the grindy decks can turn the corner quickly when they need to. 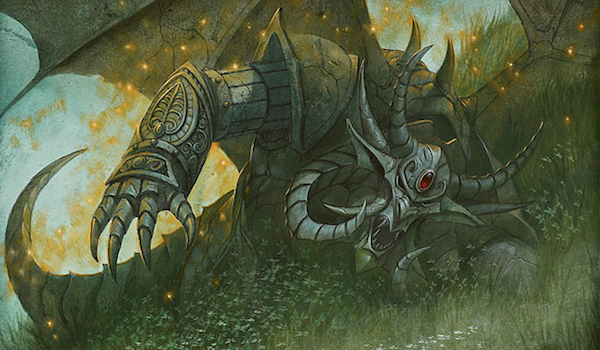 Modern’s control decks are more proactive than those in other formats; in draw-go mirrors, six-landers open you up to on-curve Snap-Serums and Nahiris. These are “trap hands,” or hands that might look keepable but will realistically win a very small number of games. Inexperienced players almost always keep these hands. When I teach people to play Magic, one of my earliest lessons involves recognizing trap hands and learning to ship them away fearlessly. These kinds of hands can be keepable in the right matchup, but in the dark, they should always be shipped. With this hand, Jund doesn’t get to play Magic until turn three. Burn, Affinity, and Infect would walk all over this hand, and opponents with a little disruption can also pose problems. What if your Liliana gets Thoughtseized? Suddenly, you don’t get to play Magic until turn four. And by then, your opponent might very well be beating you with an unanswerable Tarmogoyf. I have certain rules with Temur Delver when it comes to shipping one-landers. My favorite is that a cantrip is not enough to keep a one-lander unless it’s a Serum Visions. Beyond that, a hand needs two “bad” cantrips (Thought Scour, Gitaxian Probe) and something else for me to want to keep it. One exception is a hand with two Delvers, which I’ll keep even without any cantrips. The hand above demonstrates another exception, which is that it has lots of plays even if I don’t find a second land. Bolt is an extremely potent interactive tool in Modern, and Shoal acts as a Spell Snare or a Mental Misstep in this hand if I need it to. I even have Scour to dig for the second land once I’ve exhausted my interaction, and power play in Tarmogoyf to capitalize on pulling that land. This hand has a couple pieces of early interaction in Inquisition and Bolt, as well as some respectable plays later on. But that “later on” is pretty distant. If Jund draws a Forest, it can make Scavenging Ooze, but the Ooze doesn’t stand his ground very well on the board this early in the game. The real money cards, Tasigur and Liliana, won’t land until the third land drop is made. If this hand had a Tarmogoyf or a Dark Confidant instead of Scavenging Ooze, it would be much better. But I still wouldn’t call it acceptable. Midrange decks like Jund have serious difficulty keeping one-landers, which explains why they play so many lands in the mainboard, often sitting around 24. For comparison, Temur Delver plays 17! This hand has enabling artifact weenies and big payoff cards, but it lacks the mana necessary to deploy them in rapid succession. One thing this hand has going for it is that it’s pretty explosive if it does draw a land. Then again, opponents can neutralize the Overseer any number of ways, after which they only have some Plating-equipped Memnites to worry about. The prospect of landing and suiting up the Champion is probably too far off with this hand to seriously consider before the game begins, since Affinity needs two mana sources to make that play. Players also need to be aware of how opponents can interact with their one-land hands. In this example, URx can practically stabilize with a single Electrolyze, and a discard spell out of BGx can turn the hand to chaff by snatching Cranial Plating. Considering widely-played Modern answers, and understanding what they do to a hand, is invaluable to taking good mulligans. A big difference between the above Temur Delver hand and the subsequent Jund and Affinity hands is that the Delver hand can use all of its cards except for Tarmogoyf with its one land. The other two hands need more cards to get moving. You’re Dredge in a post-board game against Temur Delver. Your opponent keeps seven cards, and you ship an obvious mulligan to end up with six. What do you do with this hand? This hand has mana, a removal spell, and a way to dump dredgers. But it doesn’t have any dredgers! I was testing with a buddy last week, and he kept this six. It did not beat me. Dredge is pretty linear, but its gameplan shifts in different matchups. Against Affinity, a hand full of interaction would be keepable. In this matchup, I don’t think so. The deck wants to get going as soon as possible, and this hand just doesn’t do that. It kills one creature, casts Looting, and then sits around waiting for Golgari Grave-Troll. Against Temur Delver, and a fair share of proactive Modern decks, waiting for Troll is not a winning line. Hands like these are the reason Temur Delver plays Thought Scour and Gitaxian Probe. The presence of either over a land, or even over Leak or Charm, would fix this hand. Engine-grease cards can unbrick these hands by helping us cast Hooting Mandrills on time, or giving us something to do with Snapcaster. Otherwise, as is the case with this hand, they’re just too durdly. Three lands is far too many, and it doesn’t seem like we’ll be attacking until turn four. Simic Charm doesn’t do much if it’s not protecting a threat. We have some interaction with Mana Leak, but it’s too slow to matter against decks like Burn and Infect. This kind of hand might be palatable in something like Temur Midrange, which runs Huntmaster of the Fells and sometimes Cryptic Command in the mainboard to take advantage of opening so many lands. But that deck has a different game plan than Temur Delver, and can therefore keep different sorts of hands. Types 1 and 2 describe hands players would be categorically wrong to keep. When we discuss mulligan decisions, we’re almost always referring to situational mulligans. These are the hands that don’t offer a clear path. They tend to be very divisive among players, as shipping them comes down to individual goals and personal preference. Some decks have post-board plans that involve bringing in and aggressively digging for specific hate cards. Stony Silence, Grafdigger’s Cage, and Spellskite are all examples of cards so important in certain matchups that it becomes preferable to mulligan otherwise reasonable hands that lack them. Against Affinity, for example, many hands from Abzan Midrange are just too slow to interact efficiently. Abzan’s strength lies in its ability to “go bigger” than other BGx midrange strategies with Lingering Souls and Siege Rhino (not sure how meta-relevant this concept is anymore, but let’s go with it for the sake of the argument). It would be silly for Abzan to redesign its mainboard to enable easy role-shifting post-board to beat Affinity, since that would rob the deck of its strengths against the rest of the field. Abzan also doesn’t have access to elegant two-for-ones like Ancient Grudge. 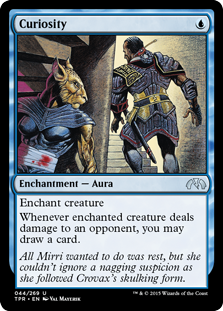 The ideal solution, then, is to board in some number of Stony Silence, a card that shuts Affinity players out of key cards and multiple mana sources, and to dig for them the only way most non-blue decks know how: with mulligans. Our play is to fetch Steam Vents, cast Delver, suit it up with Curiosity, and go to town looking for land drops. We also have Lightning Bolt to disrupt opposing plays. The risk with this hand is that a single Lightning Bolt from the opponent can throw it way off-kilter. Steam Vents won’t cast Hooting Mandrills, and we’ll be groping in the dark for a land drop to even be able to play Magic. Of course, if we do find a second land quickly, this hand becomes very good. As players improve, so does their ability to make deliberate decisions about whether hands are keepable or not, and move them into the Type 2 category of mulligans. But there are plenty of hands (in fact, an infinite amount) that even seasoned Magic veterans will have trouble deciding on. I feel that’s what makes this game so great. In part thanks to my own curiosity, I might keep the risky Delver hand above. I like observing how interesting hands play out. After all, only 46% of all Modern decks play Lightning Bolt! I’m also big on challenging my deck to get me through tight spots, and measuring its strengths and weaknesses in different scenarios. Mulligans are so fun because there often isn’t a right or wrong answer—only interesting decisions and endless learning opportunities. Openers are some of my favorite things to discuss, and I’d like to hear about some of your own questionable hands in the comments. And don’t hesitate to point out if I missed a certain kind of mulligan in my skeletal overview. Until then—and I mean this in the nicest way possible—may you send it back! Completely agree with this article from start to finish, and with every one of the keep/mull decisions (the Delver-with-Curiosity plan is the most borderline, but my appetite for risk can tolerate it). Mulliganing is a perpetually underrated part of the game, and I’ve definitely noted an uptick in my performance when I learned to ship hands a bit more aggressively. Another point to note is that all of these arguments can be backed up with math if you frame the arguments correctly and use a hypergeometric calculator (like this one: http://stattrek.com/online-calculator/hypergeometric.aspx ). Forexample, I know it was helpful for me to see that I had a 66% cumulative chance to come up with 2+ lands on a 6-lander in my 20-land deck (as opposed to the 59% chance that I would pull a land in the following 2 turns), and those odds don’t even count the scry. A quick rule of thumb that I use is that any option that has above 5% greater odds in occurring is a course of action you should strongly consider, and any option that’s above 10% should be the default. Hopefully, others find this way to validate Jordan’s arguments as helpful as I did. This is a great article indeed. Has it been considered for Modern Nexus to group the articles like these together? Articles about understanding and improving a player’s game, not unlike Level One by Reid Duke? I think it would be great for the collective works to be easily accessed for newcomers to the format at any given time. My open was 3x lingering souls, path to Exile, and 3 fetchlands. I ended up keeping the hand and it happened to be infect which I soundly beat with an endless wave of souls after pathing his blighted agent. But infect is almost always a win for my deck (so far about 80% win rate due to being well aligned game one and an endless stream of disruption) I’m curious what other people might have done. I think that hand is fine. Yeah you lose to combo but there aren’t many combo decks in this format. Modern is mostly creature decks and creature-based combo decks, and you can interact with those, plus you have a fantastic mid-late game against just about any deck that doesn’t want to kill you on turn four. Interesting article and, for the most part, I agree with it. I don’t know if intentionally or not, you left out a deeper analysis of these sample hands regarding the MU and being on the play or draw. These two factors should also be considered whenever you should mulligan or not (especially the first one). – The deck is on the play. – The opponent is unknown. – The deck is pretty much a stock list. I think, this way, we can get into mulligan discussion and theory without having to write a novel. Things get much more complicated when you factor in matchups, tech choices, etc. Uh – you said your advice is to always ship the hand if you aren’t sure because “at worst you lose and at best you improve”. Is that like really dry humour or something? Because the advice is bad and the rationale is nonsensical. Mulliganing has everything to do with what you believe will happen with one less card. If you know there’s no way you win with a four card hand you keep the shady five and hope for good topdecks. Every card fewer in your hand increase the chance your next mull will just be worse, and very few decks can go below five with any hope. Seven to six is practically free with the scry, six to five is a much harder call if the hand has any potential at all because if the five comes up a total dud you just lost the game without even playing. Yep, the that’s my standard advice to players “afraid of taking mulligans.” That includes most newer players. These players just don’t have the mulligan experience to understand or even believe any of the logical points you made in your comment. The only way for them to accumulate that experience is to practice taking mulligans. As I point out in the article, this advice isn’t intended for all players. And I’ll say this: more decks can win with a four-card hand than you think. It may be rare, but I’ve occasionally found it correct to mulligan crummy five-card hands in Modern with a variety of different decks. Temur Delver mulligans particularly well, and the Eldrazi deck was notorious for the advantages it gained by aggressively mulliganing into Sol lands. For a great example of a player correctly shipping a “shady five,” check out the video linked in the first sentence of the article.